Own a Great House… Whatever it Takes! Reverse mortgages… no doubt, you’ve heard about them. Maybe someone you know has tried out a reverse mortgage. More likely, you’ve seen Tom Selleck or Henry Winkler on TV pitching the virtues of a reverse mortgage. I can tell you that you’ll never fully understand how a reverse mortgage works by watching a 60 second television commercial. Recently, I’ve taken several classes in order to better understand the benefits (and potential issues) of a reverse mortgage. And, I can tell you reverse mortgages can be complicated, but with several surprising possibilities. Reverse mortgages first started in the late 1980s. After their initial introduction into the mortgage industry, they became plagued by some myths and some misinformation, as well as some honest pitfalls. But over time, the industry made adjustments that allowed reverse mortgages to become a powerful tool for both maintaining senior home ownership and for financial planning. The obvious advantage for reverse mortgages is that they allow older residents to use the equity that they’ve built up their house. They can use a reverse mortgage to access their equity and have no payments. That way they can live in the house without having a mortgage payment. It helps put the house in the position to take care of its residents at a time in their lives when they might want a little extra financial flexibility. It’s always nice not to have a house payment. One of the really surprising uses of a reverse mortgage is for purchasing a home. Depending on your available equity or available cash, you can use a reverse mortgage to purchase a purchase a new home or second home, if you can put down about 60% of the value of the property. If you can, then you can potentially own your new home, without a monthly mortgage payment. While you may have enough cash to purchase the home outright, the use of a reverse mortgage allows you to hang onto 40% of the cash needed to buy the house. This added liquidity means that you will have an extra financial cushion for things like medical expenses, home repairs, auto purchases, or just to take a vacation. Using this plan, you wouldn’t have a mortgage payment. Reverse mortgages may not be for everyone, but the benefits of additional purchasing power and improved lifestyles certainly make a reverse mortgage worth considering for folks over 62, whether you already own your home or are considering purchasing a new home, or even thinking about buying a second home. While I’m a long way from being an expert on reverse mortgages, I’d be more than happy to answer questions for you or to put you in touch with someone in my network of experts. Please don’t hesitate to give me call or shoot me a note. I’m always around to help you with any of your real estate questions. I often find myself working on older homes. My own home was built in 1952. Like most older homes, the walls are plaster. The walls in my home are plaster over plasterboard or rock lath. If you haven’t run into rock lath, it’s essentially drywall, but with a bunch of holes, which hold the plaster in place. The alternative might be plaster over wood lath or metal lath. Trying to cut holes in this stuff can be tricky. The first time I wanted to mount a recessed lighting can, I tried a hole cutter on a drill. It worked, but the (pricey) hole cutter was trash, by the time I finished the hole. I also tried a variety of bits on my Roto Zip. They didn’t fair so well, either. And, they were slow. They glow a bright red, as they heat up. At least, it makes the job more interesting, if you don’t mind catching the house on fire. When I wanted to add a skylight in the kitchen ceiling, I was faced with the daunting task of cutting a 4’x4′ hole in my kitchen ceiling. I was thinking about the various tools (that I own) that might get the job done. My first inclination was to use a concrete blade on a circular saw. I imagine that would get the job done, but the dust would be incredible. Plus, using a circular saw upside down to cut the hole in the ceiling didn’t sound like a ton of fun, either. I couldn’t think of any hand saws that would stand up to what’s basically a cement ceiling. A chisel would be slow and make a mess of the hole. I also have an old Rockwell SonicCrafter oscillating saw. I tried it with a grout cutting blade. I worked, kinda. It was slow and trying force that blade into a full-coat plaster surface wasn’t exactly ideal. At that rate, I wasn’t sure I’d live long enough to finish the job. Perusing the mess on on mess work bench, I came across a new 3/8th inch concrete bit that was about 20″ long. It stood out since it was unusually long and it was unusually new. (most of my cement drill bits look like they been abused, which they probably have been) Of course, a new cement drill bit can punch through the plaster in a blink. So, my solution was to mark my line for my opening. Then, following the line a punch a series of holes about a 3/4 of an inch apart. The extra length on the drill bit meant I didn’t to use a ladder. I just drilled one hole after another. After I perforated the ceiling, I used the grout cutting blade on my oscillating saw to connect the dots. It went surprisingly fast and I ended up with a pretty decent line. It wasn’t smooth, but it was consistent and there was no additional damage to the surrounding plaster. I was easily able to create a finished edge using standard drywall corner bead. I’ve used this technique again, while opening large holes for a Solar Tube and a bathroom vent. It’s worked well each time. Hopefully, this idea might give you a new approach if you’re faced with the task of opening up a plaster wall or ceiling. It’s still a face-full, but it works well. I’m often asked about insurance coverage and in particular, water damage. I recently ran across this article about water damage on a Allstate Insurance blog. I thought I’d pass it along. You’re catching up on some laundry and everything’s going fine. The next thing you know, water starts gushing across your floor when your washing machine water supply hose suddenly fails. You get the water mopped up, but a few days later your wood laminate floor starts buckling. So, you may wonder, will your homeowners insurance cover the damage? In this case, your insurance policy will likely provide coverage. Most standard homeowners policies provide protection from water damage if the cause is sudden and accidental. According to the Insurance Information Institute, you’ll likely be protected if, for instance, your drywall is drenched after your water heater ruptures or an upstairs pipe bursts and water saturates the ceiling below. Homeowners insurance does not cover all types of water damage, however. Damage from unresolved maintenance issues: While your insurance will probably help cover the cost of replacing or repairing a damaged floor if your dishwasher suddenly goes on the fritz, coverage generally will not kick in if the damage results from an unresolved maintenance issue, such as continuous leaking near a faucet or other plumbing fixture. Replacing or repairing the source of the water damage: Most insurance policies will not cover the source of the water damage. So while your policy may cover the cost of tearing out and replacing that damaged floor, you shouldn’t expect it to cover the cost of replacing your broken dishwasher or washing machine. Water backup from an outside sewer or drain: You also will not typically be covered by a traditional homeowners policy if water backs into your home through an outside sewer or drain. You may, however, be able to purchase additional sewer or water backup coverage that may help provide protection in case of such an event. Flood: No type of flood damage, no matter the source of the water, is covered by standard homeowners policies. Flooding, for example, can occur from storms, over-saturated ground, overflowing or surging bodies of water such as rivers, ponds, lakes and oceans, You can, however, purchase flood insurance through the National Flood Insurance Program. How Can I Help Prevent Damage? Inspect hoses to washing machines, water heaters, dishwashers and refrigerator ice makers for wear regularly and replace as needed (or at least every five years). Be careful not to crimp a water hose or pull it loose when moving a dishwasher, washing machine or refrigerator. Drain water heaters every six months to prevent sediment buildup. Help prevent frozen pipes by maintaining the heat in your home, insulating pipes, and opening cabinet doors to expose pipes to warm air. Inspect the water shut-off valve regularly and replace if needed. While it’s important to keep up with home maintenance to help prevent any damage from water, it’s also a good idea to check with your agent about what is and isn’t covered by your homeowners policy. Be sure to ask if there are any additional coverages available that may be appropriate for your home. Does Solar Add Value to a Home? As a Realtor, I’m often asked about the value and wisdom of installing solar power on a home. Does solar add value to a home and are there any potential problems when you sell? Well… that’s a pretty good question. It’s kind of a double-edged sword. On one hand, it adds to the home’s value since it reduces the electric bill. Plus, people like the idea of a home that can function (somewhat) off the grid. The whole idea of solar feels environmentally responsible. But it has some down sides. Usually, the system is actually owned by someone else and they take all of the tax breaks and rebates. Also, if the units are leased, it’s usually a long lease, potentially 20 years, which can create a problem when the home is sold. The new owners may be stuck with whatever arrangements the old homeowners made with the solar company. It might be a real issue, if they want out of the contract. The seller may have to buyout the contract to make a buyer happy or to alleviate a problem for themselves. Remember this is a binding and prolonged financial arrangement between the homeowner and the solar company. I get the impression from the documents provided by the solar companies, that they totally intend to exercise their rights for the length of the contract, either with the original homeowner or with the new homeowner. It’s also a liability if you need any roof work done, since they have to be removed and then reinstalled, although I understand the insurance companies are allowing for cost of re-installation on an insured roof. There’s no way to count on insurance companies to maintain coverage if they don’t like the expense. Don’t forget that insurance companies change the rules for coverage all the time. There’s also some speculation that lenders are going to have issues with homes with leased solar systems. I’m not sure what their problem is, but it may be a cloud on the title. Potential lenders don’t like clouds on titles. While the solar companies maintain that they don’t attach a lien to the property, they do a UCC-1 financing statement (UCC: Uniform Commercial Code). It’s a legal form giving notice that it has an interest in the personal property of a debtor. The UCC – 1 allows them to claim ownership of their equipment in the event of foreclosure. The solar companies say that in order to avoid creating a cloud on the title, they can drop the UCC-1 during a sale and then put the UCC–1 back a few weeks later. For the most part, I haven’t seen a big bump in prices on homes with solar. Of course, in this current market almost everything sells at the high end of the price range. It’ll be interesting to see what happens in a couple of years when the market cools some. In the meantime, solar technology will continue to improve, which may make current solar setups less desirable. It’s certainly going to help sell a home to someone who specifically wants a an eco-friendly house. But, just like a house with a pool, some people really want it, but some will see it as a liability. But, as far as value goes, I doubt you see a consistent big bump in value, like you would with a new kitchen. Some agents say you could see a $10K bump in value, but I think it really depends more on the buyer’s desire for solar. It’s just not going to be a big deal to a lot of buyers. Many of them just don’t understand it very well. If you purchase the system, it seems to me that it’s unlikely that you’ll ever recoup the cost. I’m not sure if the savings on your electrical bill will make up the difference in a $10,000 to $20,000 purchase. I haven’t seen any numbers that show that it will, especially when you take the inevitable depreciation into the total, although state and federal credits will change the overall cost. Here’s a recent article in the LA Times that covers reselling a home with a solar electrical systems. Here’s a couple of articles written by the solar industry, so they have a different take that’s skewed in their favor. One thing to remember about insuring homes in Colorado is that, over the past few years, insurance companies have lost billions of dollars to fires, tornadoes, flooding, and hail. They are actually operating at a loss insuring Colorado homes. With that in mind, is not surprising that insurance companies are looking for a reason to drop their coverage on many homes in this area, including mountain communities. Here are some of the key sticking points that can potentially derail the sale of a home or even continuing its insurance coverage with your current insurance company. If you have T-Lock roof, these roofs are no longer insurable if you change carriers. If you are currently insured, your insurance company will probably maintain coverage but may drop the insurance strictly to cash value, usually with higher deductible, rather than the normal replacement cost. T-Lock roofs have not been installed widely since about 2003, and they’re no longer being manufactured, which makes it difficult to do repairs and generally forces insurance companies to replace the entire roof. However, I was told last year by State Farm that they will repair small sections of T-Lock roofs by cutting out replacement shingles from rolled roofing. Almost all wooden shingle roofs have become uninsurable. If you’re changing your carrier you probably will have a difficult time maintaining insurance on your roof. Or if you’re buying a home with a wooden roof, it probably won’t be able to get coverage. (Just like the T-Locks roofs.) Until recently, a few carriers did cover homes with wooden roofs but they had to be newer than 15 years old. Even that, apparently, has gone away. If you’re thinking about putting on a metal roof, be sure that it is hail resistant certified. Some of the metal roofs are made of the material that will dent like the roof of the car. Obviously, insurance is difficult to find for the more inexpensive metal roofs. Usually, premium metal roofs, like a standing seam metal roof, will have no problems with coverage. Be sure to check with your agent. For class 1, three tab asphalt shingles, 18 years old is generally the cut-off age for coverage. Class 1, shingles are generally a builders grade roofing made of thinner material. Architectural and presidential grade roofing has a longer life for both its warranty and it’s insurability. It’s a good idea when you choose your next roof, if you plan to stay in the house for any length of time to go ahead and upgrade to the better quality roof. I’m always surprised how fast time flies when you live in a home (and how quickly it comes time to spend thousands of dollars on a new roof). While it is still code to have three layers of roofing, insurance companies will only give coverage on two layers. If you’re thinking about purchasing home or selling a home with three layers of roofing, be aware that the roof will likely need to be replaced to maintain your insurance coverage. Often, you’ll find homes that had a cedar shingle roof that’s been covered with a three tab asphalt shingle. These two layer roofs are quickly becoming a problem for insurance companies, since they’re a sitting duck for hail damage. One thing to keep in mind, on a wooden shingle roof, when it’s re-roofed it will need new underlayment, which will be an added expense. Speaking of insuring an older roof, particularly on the home that you are purchasing or selling, a certification on the roof means nothing to the insurance company. It may mean the roof is not leaking, but it’s the age of the roof, the type of roof, and the condition that ultimately impact its insurability. Probably your best bet in the world of roofing is a cement roof. Insurance companies generally offer a discount on these super durable roofs. If you have a home that was manufactured sometime between 1960 and 1975, there is a possibility that you may have aluminum wiring. Aluminum wiring itself is actually pretty decent wiring (if it’s maintained correctly), but it has become another pariah in the world of building materials and insurability. These days, most insurance companies won’t accept a house with branch wiring that is aluminum. While rewiring an entire house throughout its walls and attic would be amazingly expensive, you do have the option of pig tailing each run to copper wire. This apparently is acceptable to most insurance companies and would allow you to maintain coverage even in a house with aluminum wiring. You should be aware that the cost to pigtail each outlet, fixture, and switch is going to be close to $20 per pigtail. Which can really add up on a larger home. On older homes with any presence of knob and tube wiring, it immediately becomes uninsurable. I recently tried to find an insurance carrier that would cover a home with knob and tube wiring and even secondary market carriers like Lloyd’s of London wouldn’t touch it. You’ll probably find the same thing if you have a home with the old-style screw-in fuse box. All homes have to have modern circuit breakers to be insurable. In the past, fuse boxes were often inside the house, usually in the kitchen. Again, that’s likely to be problematic when it comes to insurability. Keep in mind that, while you may have insurance coverage and a problem like a wooden roof or a fuse box, insurance companies have the right to inspect the home to protect themselves. This happens quite often during the period while you’re purchasing or selling a house. They will probably drop coverage if they find a problem like knob and tube wiring. Frankly, if you have a home with knob and tube wiring, it’s time for an upgrade. One of the practical problems knob and tube creates is for insulation. You can’t safely cover knob and tube with insulation. If you don’t have adequate insulation in your home, you’re just wasting money anyway. One more note about electrical. Even homes with “newer” electrical panels are starting to show their age. While they may have been updated over the years, increased demands on electrical systems may be pushing your system closer to the age of extinction. Older boxes that are rated for 100-150 amps are starting to run short on capacity, as homeowners add to their electrical loads with more appliances, hot tubs, and electronic equipment. Just keep in mind, that you may be looking at spending a few thousand dollars on a box upgrade somewhere down the line. Also, if you have a box manufactured by Federal Pacific Electric or FPE (particularly the Stab-Lok boxes), you should have it looked at by an electrician. These boxes are notorious for not working properly. FPE went out of business, but not before selling thousands of sub-standard circuit breaker boxes all over the United States. So far, I haven’t heard that there’s a problem with insuring the FPE boxes, but it may be only a matter of time before insurance companies clamp down on these circuit breakers. Fortunately most plumbing isn’t quite on the radar of your insurance company, just yet. That means, while copper, PVC, and Pex plumbing are preferred (by both homeowners and insurance companies), it hasn’t quite reached the level of those types of plumbing being the only choice to maintain your insurance. Galvanized plumbing, cast-iron, even polybutylene, are still acceptable to some insurance companies. While I would never recommend that you purchase a home with some of these chronically bad systems like Ipex (not to be confused with Pex) or polybutylene, if they’re not leaking they shouldn’t deter your insurance company from providing you coverage. Be sure to take a good look at your documents from your insurance company to be fully aware of what is covered and what isn’t. Don’t forget that damage from rain or groundwater is never covered under the homeowners policy. You should have coverage if your home experiences a ruptured pipe, but be sure and double-check your policy, especially after there’s been a change in coverage. Don’t forget that there might be something in the fine print that can cost you a lot of money. One bit of advice, if you have galvanized plumbing be sure to keep an eye on it, particularly near the joints where the process of cutting threads effectively eliminates about a half of the thickness of the wall of the pipe. Usually, if there’s a problem with galvanized, it tends to happen near joints. Recently, with the large amount of losses that insurance companies are experiencing in Colorado, they are constantly reviewing the viability of coverage for homeowners. It’s quite surprising for people, who’ve done business with their insurance company for more than 20 years, when they are unceremoniously dropped. Often, it’s because the homeowner had the audacity to file a claim on their insurance. The insurance industry usually will look back over the past five-seven years for what they consider to be excessive claims. Although I’ve seen them cite losses that were more than 15 years old as a partial reason for denying coverage. Also, beware of zero dollars claims which can possibly have the same effect as a claim where the insurance company had to pay out. Often the zero dollar claims come as a result of an inquiry about coverage, for instance on a roof. The insurance companies may hold these zero dollar claims against you. You should also be aware of something called the C.L.U.E. report. Like a credit report, the C.L.U.E. gives insurance companies an insight into the risk that you bring to their company. LEXIS-NEXIS, on their website, defines the C.L.U.E. report as: The C.L.U.E. Personal Property report provides a seven-year history of losses associated with an individual and his/her personal property. The following data will be identified for each loss: date of loss, loss type, and amount paid along with general information such as policy number, claim number and insurance company name. For home buyers, the C.L.U.E report can definitely make a difference on the coverage that you can purchase for your new home. Be sure to start the process of finding acceptable insurance as early in the process of buying as possible. People who are renting should know that claims on renter’s insurance will likely follow you, as you purchase your home. Flood Insurance is required by mortgage companies for any home in a flood plain. Oddly enough, this also includes homes in high-rise buildings (coverage is required even if you’re not at ground level). You can check with your insurance carrier to see if you’re buying a home in a flood zone. Keep in mind, homes that aren’t in flood areas account for 25% of the flood-related claims and 30% of the federal disaster assistance for floods. So, flood insurance may be prudent, even if you’re not in a designated flood plain. Many of the homes that were damaged in the 2013 floods in Colorado weren’t in flood plains. Obviously, homeowners insurance coverage can get pretty complicated, plus it’s constantly changing. As roofs get older, as building materials change or are no longer manufactured, as claims in one part of the county get worse… insurance companies change the rules that we all have to live by. Not every insurance company plays by the same rules. Some will provide coverage while others won’t. If you’re buying a home, be sure to get all insurance issues worked out prior to closing. You don’t want to be surprised by an insurance issue that falls into your lap after the closing. Remember, insurance companies can still inspect and drop coverage well after closing. A good home inspector and a smart, well-informed insurance agent can help you avoid a lot of problems. It’s a good idea to talk to an insurance broker when it’s time to review your policy. Insurance brokers (rather than single carrier agents) deal with many insurance companies. They can often find coverage with smaller insurance companies, even when the big companies have changed their guidelines. As a Denver-area Realtor, home inspections are just a part of my business routine. But, you should note, home inspectors in Colorado don’t need any particular licensing or certification. Most of the good ones have a wide variety of business backgrounds that includes construction, remodeling, and even engineering. Their certification usually comes from a professional association and includes ongoing education, as well as keeping up with the latest news in the inspection business. That’s all well and good, but for my clients the home inspector becomes a pivotal character in their selection of their home. They have to rely on their expertise, which can often be a variable. Good home inspectors will always keep things in perspective and explain the pros and cons of any situation in the house to the perspective homeowner. They’ll explain maintenance items, potential problems, little idiosyncrasies that come with every house, and give them a heads up on any big problems that need to be addressed right away. For buyers of homes that were built in the late 60s and into the 70s, aluminum wiring is a problem that will often pop up. For some home inspectors, aluminum wiring is the equivalent of the boogie man. They’ll explain that home wired with aluminum wiring is a fire waiting to happen. And to be fair that’s exactly the case with some aluminum wiring. The flipside of that is that aluminum wiring properly installed is and will be a functional and reliable electrical system for many houses. I recently ran into a home near Idaho Springs, that was built in the early 1970s and was discovered to have aluminum wiring by two home inspectors (one of the deals fell apart, hence the two home inspectors). Both inspectors noted the aluminum wiring to the potential buyers, although one made it sound like a grave and almost impossible situation to overcome. The other explained that aluminum wiring could be fine but to discuss the matter with a qualified electrician… always good advice. I’ve done a fair amount of remodeling over the years and have run into everything from knob and tube wiring to aluminum wiring and some pretty suspicious looking copper wiring. But I have talked to several electricians who know what they are talking about and I feel like I’ve gotten a fair assessment of aluminum wiring. As one electrician pointed out to me, aluminum wiring is still being used and meets code in most circumstances. Although generally now, aluminum wiring is used to deliver service to a building and is seldom used for branch wiring within the house. Using heavy-gauged aluminum wiring for service runs make sense because of the reduced weight and cost that aluminum provides. Using aluminum wiring within the structure, particularly a residence, may save money because of the reduced cost over copper, but it comes with complications that most homeowners don’t want to deal with. It sounds like, from my discussions with several electricians, the real problem with aluminum wiring comes from modifications that are done later, usually by do-it-yourself homeowners. From what I understand, aluminum is often negatively impacted by time and oxygenation. If the wire isn’t tightly attached, vibration can occur which creates heat and potentially a fire. When do-it-yourselfers, remodelers, and unqualified electricians make changes they often don’t use the proper techniques and supplies to ensure the aluminum wiring is well-connected. The result of a poor connection with aluminum wiring inside the house will often result in failure of a light fixture, a light switch, or an outlet. You may see an entire room or circuit with obvious problems due to a bad connection on the aluminum wired circuit. This is often a hint of larger problems. On the other hand, a well-installed aluminum wiring system can give years and years of reliable service, if properly maintained and correctly installed. 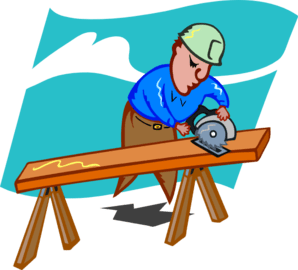 The difficulties that come with purchasing a home that has aluminum wiring is that, legally, electrician can’t certify a system, the way a roofer can certify a roof. They can look for obvious problems. They can check the box for solid connections, and they could open up outlets and switches to see how they are connected. But, like most trades, they don’t have x-ray eyes and can’t examine what’s going on inside the walls. I’ve seen differing opinions on the use of pig tailing, where short runs of copper wire are attached to the aluminum branch circuits. The copper wire is then used to finish the run to switch, an outlet, or fixture. But I’ve been told, one of the problems is that pig tailing often just moves the problem a few inches further up the circuit. In other words, the bad connection is made at the pigtail instead of at the terminal on the side of an outlet. Unfortunately, the good intention of pig tailing may simply create a problem that didn’t exist in the first place, assuming the system was well installed and hadn’t been monkeyed with over the years. As a Realtor, I hate to see the homeowner or homebuyer stuck with expensive modifications to home when they’re not needed. But, others will tell you not to trust aluminum wiring, and in some circumstances that would be good advice. The trick is to align yourself with an electrician who isn’t farming for needless work and who will give you an honest opinion of that home’s electrical system. Every home is different and comes with its own set of circumstances. But don’t let, a well-intentioned home inspection divert you from a perfectly serviceable house. These professionals have been recommended by your neighbors and local Realtors. Please share any feedback to help us keep this referral page up-to-date. Mile High Moving Company- 720-628-3959, milehighmovingcompany.com. Shane Bailey, Bailey Home Inspections, 303-332-3885. Erik Hilgert – Dovetail Restorations – 303/489-4447. Timberleaf Construction- Kevin Molick, 303-887-0959 www.timberleaf.net.